Bromsgrove Leisure centre, currently known as “the Dolphin” is part of Wychavon Leisure group which was established in 1999. The group is currently looking to demolish the existing building in order to build a new centre which accommodates a higher capacity. 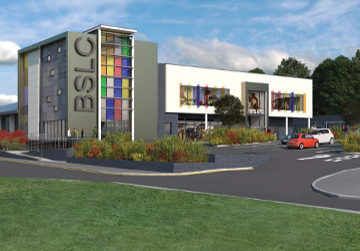 The new build will include 2 new swimming pools, a climbing wall, fitness suites and a café. In addition, it will also supply spa & treatment facilities. For the proposed demolition and new build, Fellows Construction Consultants provided pre-contract cost management services, proactively helping Morgan Sindall to appropriately consider all of the key cost and risk considerations associated with building in a residential area. In providing this cost management advice, Fellows were able to draw on their past experience and expertise working on demolition and regeneration schemes in order to provide potential value management savings to ensure that maximum value was achieved from the project budget.